Want to take a trip to the moon or maybe Mars? Unless you are an astronaut or a very lucky multi-millionaire, it's not going to happen. 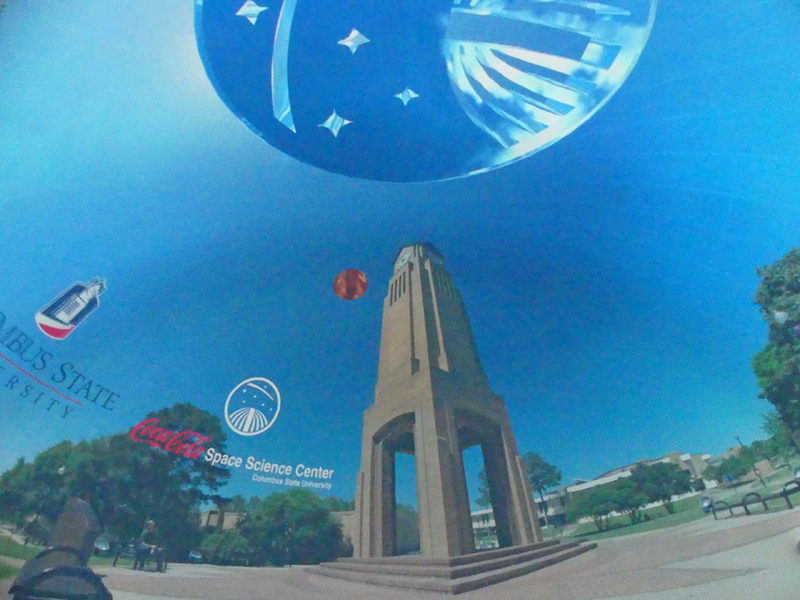 That is unless you visit Coca Cola Space Science in Columbus, Georgia. I recently visited and it was a blast. Literally! Dr. Shawn Cruzen, executive director, showed us around. 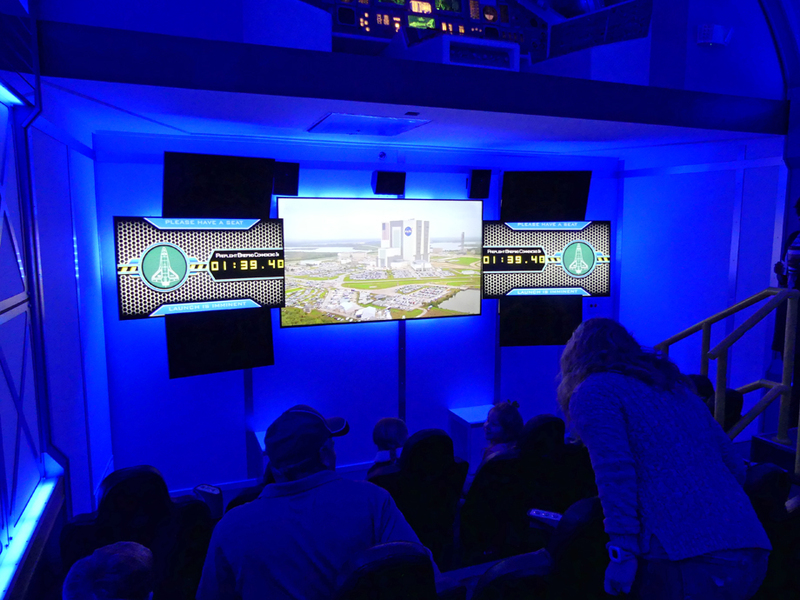 The facility has four main components: Exhibit Gallery, Challenger Learning Center, Observatory, and Planetarium. You enter the gallery first. Dr. Cruzen explained how that got started, "It began when NASA closed down the space program. They put out the word that if you are an educational facility, museum or science center and you want to apply for some of the space shuttle artifacts, here's the application process. Naturally we thought that would be nice but probably everyone would apply." They were happily surprised at how well they did. 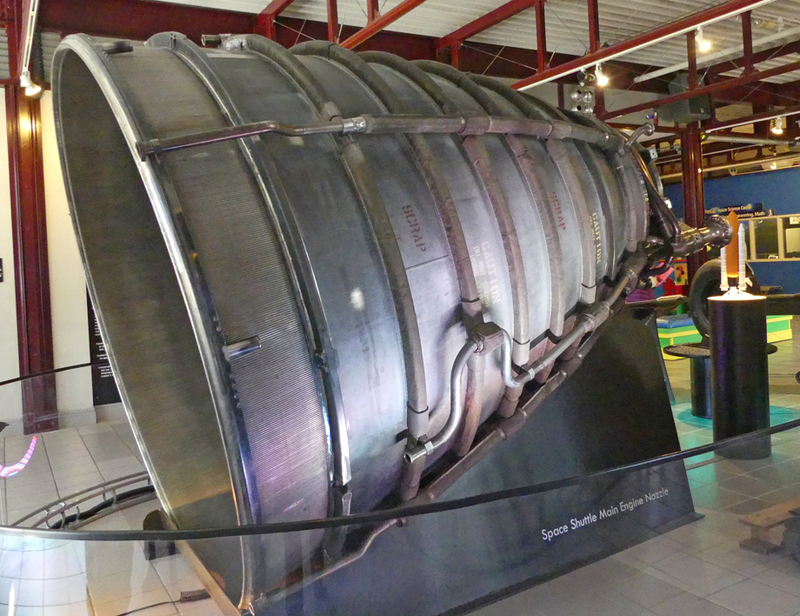 One of the most fascinating artifacts they received is on display near the front of the gallery, a space shuttle main engine nozzle that's been into space nine times and flew on four of America's five space shuttle flights. The only other places you can see one of these are at NASA facilities and the Smithsonian. He showed us how the interior of the shell is designed with tiny ridges circulating the fuel through them to sustain the tremendous heat of take off. The interior at take off is about half the temperature of the sun's surface. There are consuls from Firing Room Three at Kennedy Space Center that date back to the Apollo Program and the moon shots. Before Mission Control was moved to Huston, this was Mission Control. 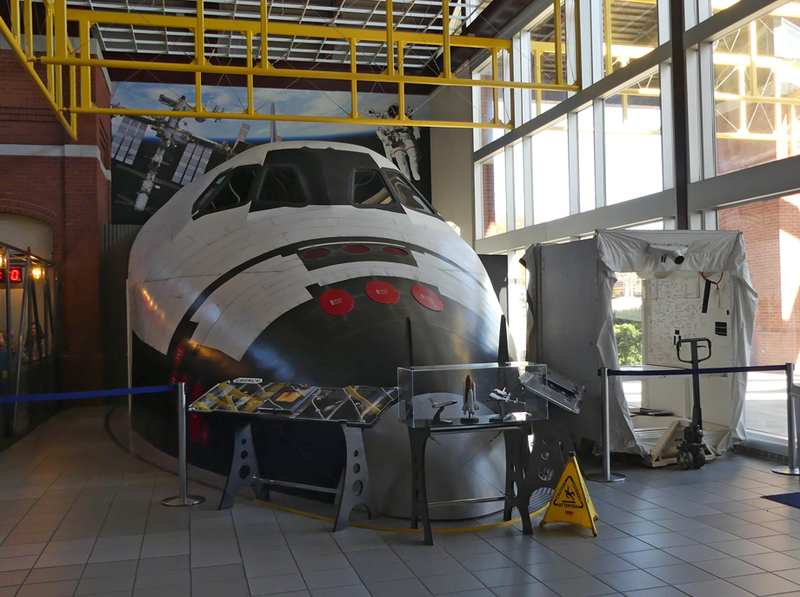 There is the Quarter-Scale Space Shuttle Test Article, a one-of-a-kind engineering prototype that recently came to the Coca Cola Space Science. 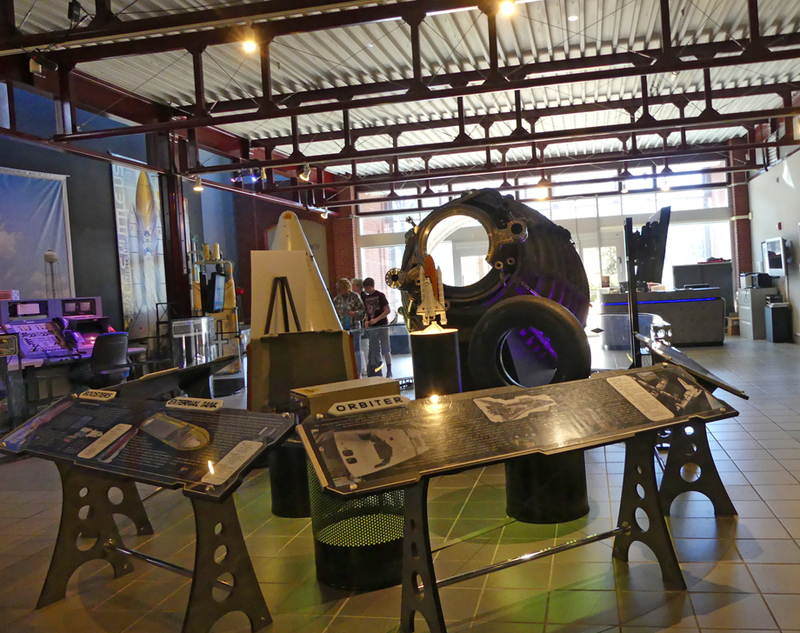 From robotic Mars Rovers to a Space Center Landing Simulator and lots of artifacts and stations there is something for all ages. The Challenger Leaning Center begins with a trip into space in a stimulated shuttle, the Odyssey. This experience is so real. You are seated and watch as the captain and crew acquaint you with the various controls located at your own seat. You feel as if you are actually taking off into space. As the shuttle approaches and docks with the Space Center, they experience a glitch and need you to assist the captain by using your seat controls. Dr. Cruzen told us there are installing an additional part where you will really feel the movement of the shuttle. Parts of the Challenger Lerning Center are designed for teams so would not be available for just the casual visitor. Teams would next visit either Mission Control or on to "Mars." The teams communicate between the two sections through video and computers. Tests include viewing rocks under ultra violet light or black light and other activities you might do were this an actual space flight. However, if you are visiting with a larger group, by all means arrange ahead to use these as well. Dr. Curzen told how the Challenger Centers began. "The Challenger program was begun by the families of the Challenger astronaut. 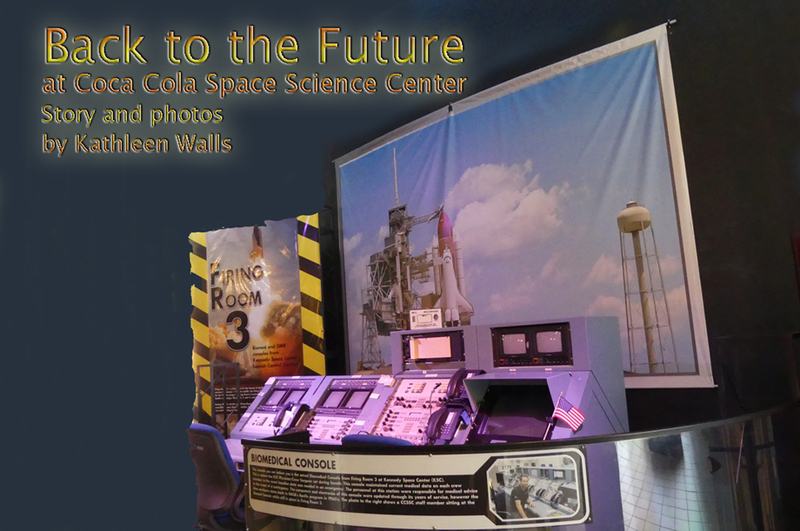 The families wanted to leave a living legacy and they came out with this idea to teach kids about space." What makes it so appropriate is that Christa McAuliffe, one of the seven austronauts killed was a teacher. Dr. Cruzen related how the legacy lives on. "We bring in people in related fields from science fiction authors to astronauts. .. For the museum's 20th anniversary we had a special guest, Carl McNair who is Ron McNair's brother. He spoke to some school groups and a public audience. It was really neat telling him about our 20 years with a challenge center and what his brother's legacy had meant to us." The Observatory is someone thing you need to request preferably ahead or ask at the desk and they can show it to you. 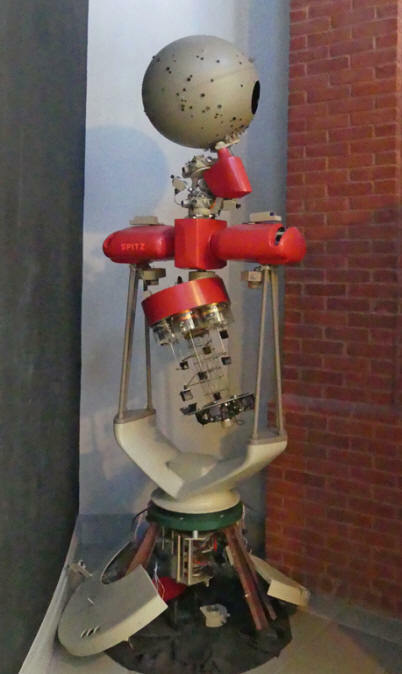 The telescope is capable of broadcasting out into the internet. It can also be controlled over the internet. They can give control over to teachers anywhere so they can use it as a teaching tool. The motor is huge and controls the telescope. 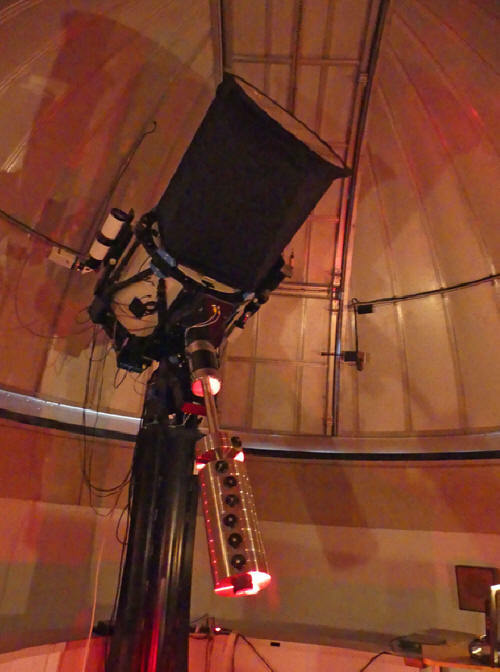 This is a research telescope not an amateur telescope so it is not something you physically look through an eye-piece; what this telescope sees is shown via a camera. On public nights, they also have a fleet of portable traditional telescopes. These are held once a month so if you are planning a visit be sure you check the dates for this. 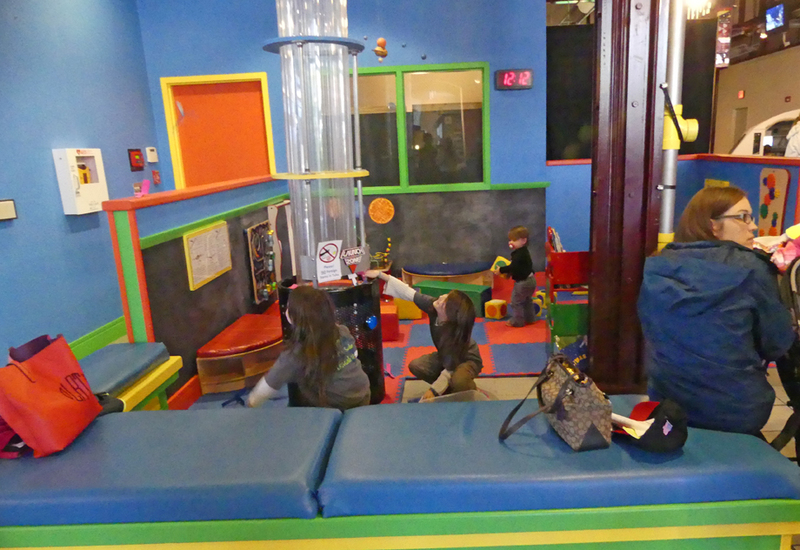 The observatory is more than a visitor attraction and a learning center. It is a working facility. It is used to track space asteroids to see if they are potentially hazardous to the earth. The planetarium is much more than just a show of night sky. It is the Omnisphere Theater. The unique design of a dome rather than squared room-style theaters is really something. It puts you into the action whether it is showing a Sesame Street story for the little ones or a realistic action packed Sci-Fi movie. It runs continually from 11 to 3pm on week days and 11:30 to 5pm on Saturday. The museum is closed on Sunday. The shows vary so you could see several different ones on any given day. We watched a bit of a Sesame Street show and one on the Seven Wonders. Wow! You really feel like you can reach out and touch the monuments. 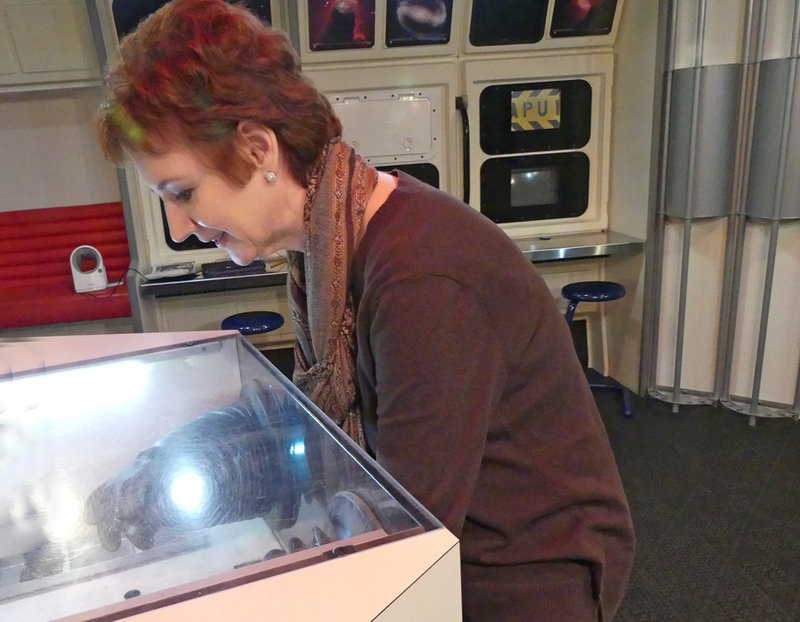 This is one of Columbus's better-kept secrets but when it comes to rating this museum, it's literally out of this world.